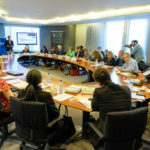 On the 25th of September, EBC held its latest event in the European Parliament, this time building on the Value of Treatment‘s work on Alzheimer’s and The Socioeconomic impact of Alzheimer’s in Europe. 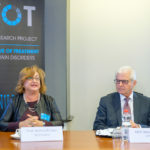 This event was an opportunity to further present the EBC Value of Treatment project, particularly the work and findings of the Alzheimer’s Disease working group. 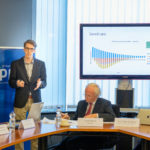 The event was kindly hosted by MEPs Heinz K. Becker (EPP, AT) and Marian Harkin (ALDE, IE), both members of the European Alzheimer’s Alliance, moderated by Geoff Meade and chaired by EBC President, Prof. Monica Di Luca, and hosted an excellent line-up of expert speakers and roundtable participants, who each presented and led fruitful conversation around the future of Alzheimers research, patients and carers as well as the impact the disease has and will have on society. 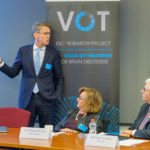 Dr. Ron Handels and Prof. Philip Scheltens, members of the VoT Alzheimer’s Working Group, presented their work on the potential health-economic impact of treating Alzheimer’s and the patient journey for people living with Alzheimer’s. 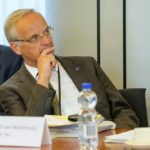 Mr Nis Peter Nissen then continued with a national insight, speaking on the cost of informal care of Alzheimer’s in Denmark. 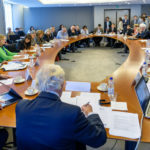 The roundtable brought together key stakeholders in the Alzheimer’s and neurology communities, including leading academic and policy experts on the socioeconomic burden of Alzheimer’s from organisations such as the OECD and the European Commission. The full agenda can be looked back on HERE. 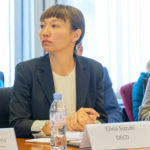 The event also marked the conclusion of the “What if” series of policy roundtables, which launched in the European Parliament in September of last year with an event on the The Right to Dignity: Overcoming the stigma and inequalities faced by people with Alzheimer’s and a second meeting in January 2018 on Overcoming the ethical challenges of early detection and diagnosis. 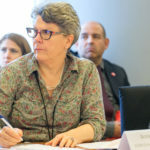 The discussion and policy recommendations of last week’s and previous roundtables will now be captured in a White Paper on driving the policy agenda to optimise care for people with Alzheimer’s disease in Europe today and tomorrow. 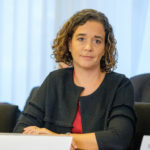 The White Paper, collaboratively developed and endorsed by MSD, EBC, EFNA and other stakeholders, will be launched at the meeting of EFNA’s Brain, Mind and Pain MEP Interest Group on 21 November 2018. 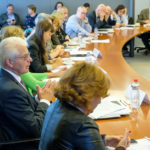 As we enter campaigning season for the European Parliament 2019 elections, the White Paper will be a valuable tool to support advocacy activity focused on delivering better policy today and tomorrow for people with Alzheimer’s on EU and national level. 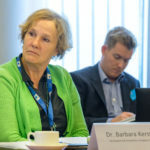 More can be read about the Value of Treatment, the Alzheimer’s findings (Posters / Report), and follow the launch of the white paper and all the latest EBC news and events here online and on Twitter.